Established in August last year, Fish Bowl won over loyal customers with its mouth-watering iterations of the Hawaiian staple. Loaded up with rice bases, ample vegetables, fresh ocean catches and a vast range of toppings and sauces, you’ll definitely be spoilt for choice here. … WHAT EXACTLY IS A POKE BOWL? ‘Poke’ is derived from the Hawaiian word for ‘slice’ or ‘cut’. This refers to the marinated cubes of diced raw seafood bathed in a scrumptious array of ingredients such as the delectably creamy avocado, crunchy onions and remarkably fresh cucumbers. When it comes to unsurpassed flavour, you can’t deny that Poke bowls are a cut above salad bowls. With a wide range of ingredients and condiments to choose from, Poke bowls have evolved to become a firm favourite of the health conscious. 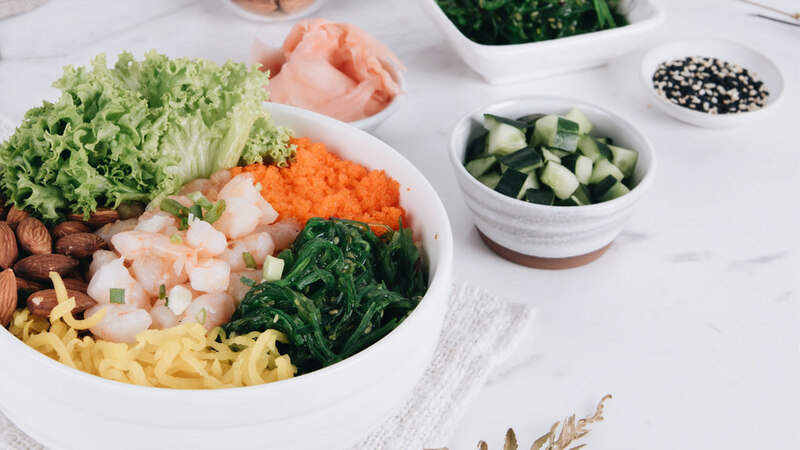 Containing an average of 200 calories per bowl, Poke bowls are nutritiously jam-packed with a truckload of proteins and good fats like Omega 3. If you’re exhausted of the usual leafy salads that leave you feeling more empty than before, it’s time to give the Poke bowls a go! 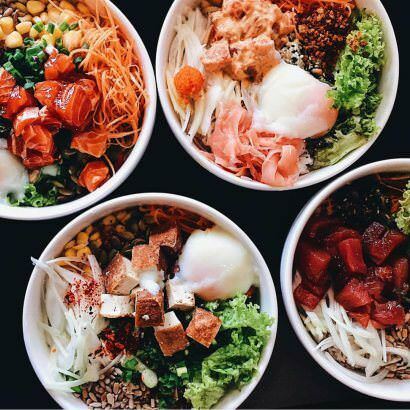 Browse the gallery for our top spots for the best Poke bowls in Kuala Lumpur. P.S. Be prepared to jump on the bandwagon – you’ve been warned. 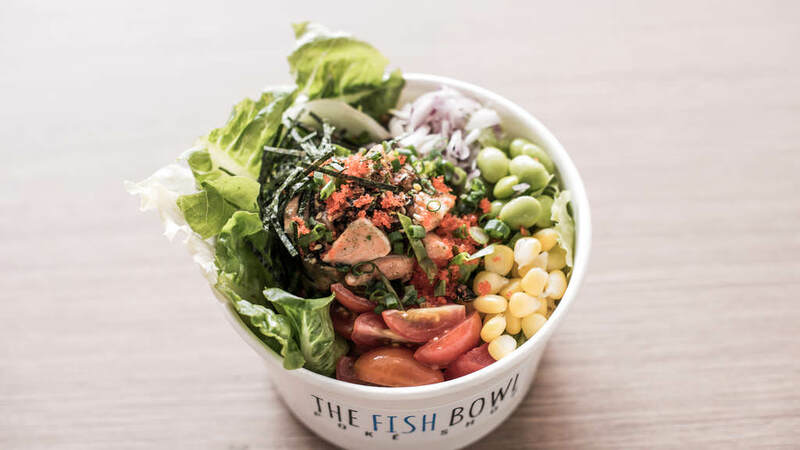 Often packed with hungry crowds, The Fish Bowl prides itself as the premium poké establishment in Malaysia. With two outlets operating since its launch in 2016, the shop lets you create your own bowl from a wide selection of ingredients. Savour one of their bestsellers – a rainbow coloured Shoyu Salmon Bow – or experiment with different taste and flavour combinations. We tried the modified version of the bowl by adding almonds and walnuts for crunch and a side of seaweed salad. The bowls are priced at a decent RM17.90 each, and you can also have a premium variation for a bit extra. 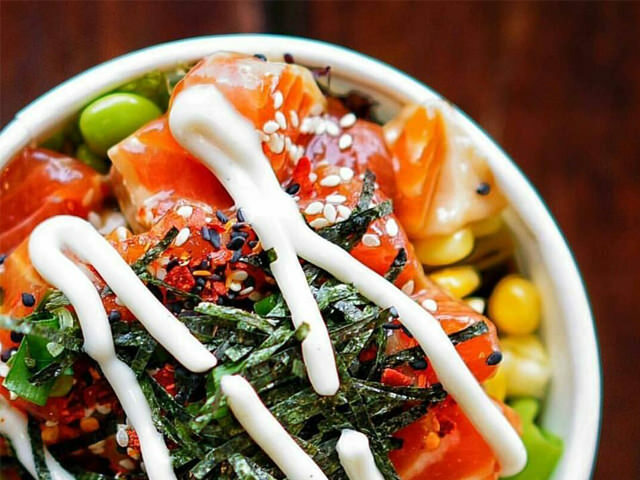 Haven’t heard of the poke bowl food trend? Well, first off, it’s not a bowl of Pikachus and Bulbasaurs, even though it’s also pronounced ‘poh-kay’ like ‘Pokemon’. Poke in this context actually refers to a method of preparing and seasoning raw fish, popularised by Hawaiian fishermen for snack time. Add to that a base, vegetables and sauces and you have yourself a delicious yet nutritious poke bowl! The first poke bowl outlet landed in Malaysia in late 2016; shortly after, a whole host of poke places mushroomed up across the Klang Valley. Here are seven of our favourites. The pioneer of premium poke bowls in the country, The Fish Bowl introduced us to the glory of poke in late 2016 and has continued to expand since. The hearty bowls are surprisingly easy to finish – a standard build-your-own-bowl at RM17 will have a base, four sides, at least one protein, a sauce or two and unlimited toppings. Their signature ‘Shoyu The Way’ stays closest to the real Hawaiian deal with a mango twist that we love. Now available in 1 Utama Shopping Centre too! If nabbing a coveted spot as one of the hottest food trends last year according to Zagat is anything to go by, the establishments on this list will certainly not require a lure of any sort to draw throngs of poke hunters in through their doors. Originating from Hawaii, poke—which by definition (in Hawaiian) is ‘to cut or slice’—refers to the island’s staple comprising of marinated cubes of raw seafood (typically ahi tuna or salmon). By tradition, the fish is coated and imbued with marinades of soy and sesame oil and mixed with texture and flavour boosters like chopped up cucumber, onions, seaweed, and avocado. Like many food trends though, it was on the health-conscious and food-crazed promenades of Los Angeles that the decadent fish bowls really exploded. And as a nation of self-proclaimed foodies, trust that we’ve been decked out in our bandwagon-hopping overalls from the moment the poke train crossed our borders. They take pride in claiming the pioneering position as the first to serve poké bowls on our shores. Equally as impressive are their authentic marinades—try the founder’s favourite, Spicy Shoyu Tuna or for a more fiery kick, the Spicy Sriracha Salmon that has sent tongues wagging for all the right reasons.